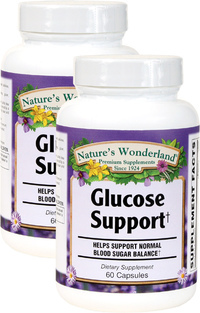 Glucose Support, 60 Capsules Each (Nature's Wonderland) - Penn Herb Co. Ltd. 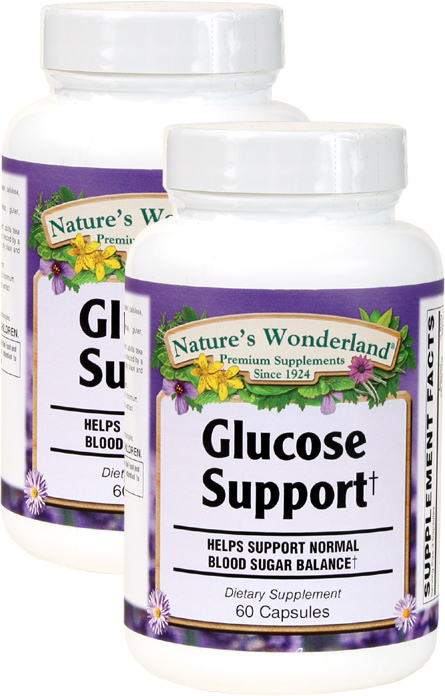 Nature's Wonderland Glucose Support is a targeted blend of herbal extracts, vitamins and minerals known to support healthy glucose metabolism and to help maintain blood sugar levels already within healthy range. Gymnema...Ayurvedic extract promotes healthy pancreatic function. Chromium, Vanadium...mineral support for healthy glucose metabolism. Fenugreek Seed Extract...helps to slow down carbohydrate digestion and absorption. Bilberry Extract...antioxidant compounds protect healthy nerve tissues. As a dietary supplement, adults take 3 capsules daily with meals, or as directed by a health care professional.